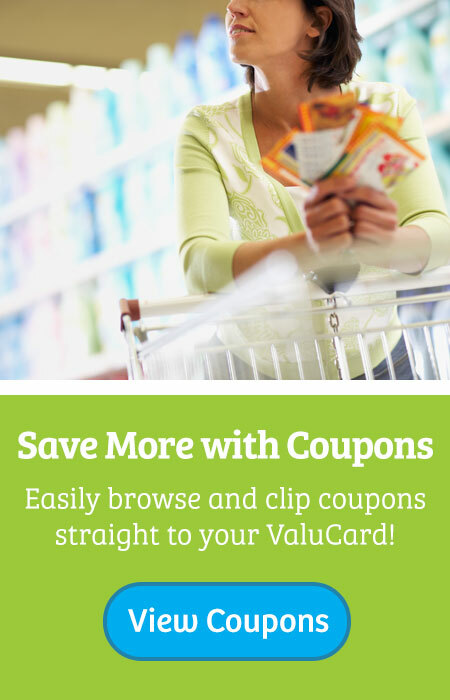 Save on the items you use most with ValuCard only pricing, plus earn ValuPoints that can be redeemed for even more great savings! Earn 1 ValuPoint for every dollar spent at Food City. Plus earn bonus ValuPoints on prescriptions, gift cards and select items! Redeem Rewards to save on fuel at our Gas 'N Go fuel stations! Redeem 1 Reward (150 ValuPoints) and receive 15¢ off per gallon every day at Food City Gas 'N Go fuel stations. Redeem 2 Rewards (300 ValuPoints) on Wednesdays and receive 30¢ off per gallon on ALL fuel grades at Gas 'N Go fuel stations! Up to 20 gallons. Limited time offer. Redeem 2 Rewards (300 ValuPoints) and save 5% on your total grocery order of up to $100. 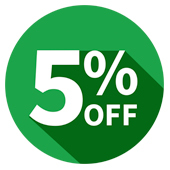 Limit one 5% discount per ValuCard, per day. Offer subject to change without notice. Excludes Pharmacy, Alcohol, Tobacco, Lottery, Services, Taxes and Gift Cards. Earn 50 Bonus ValuPoints instantly when you fill any qualifying prescriptions. Earn Bonus ValuPoints when you purchase select items from our weekly ad! Limited time only, see store for details. ValuPoints earned will expire at the end of the next month or during the promotional period. Oldest points are automatically redeemed first. Food City ValuCard must be scanned at pump or presented to cashier at time of purchase to receive or redeem ValuCard Rewards. Points earned will be visible on register receipt or online in your dashboard. Excludes: tobacco, alcohol, lottery tickets, videos, fuel, stamps, money orders and sales tax.